I’m pretty sure that the first color of eyeshadow I ever owned was pink. I was told that fair skin called for that color when I was in high school and I wore the eyeshadow on very special occasions (in a horrible cut-crease way I may add). I left pink behind for awhile after that debacle, but I’m back to this classic color because it is just so beautiful, especially in spring and summer. 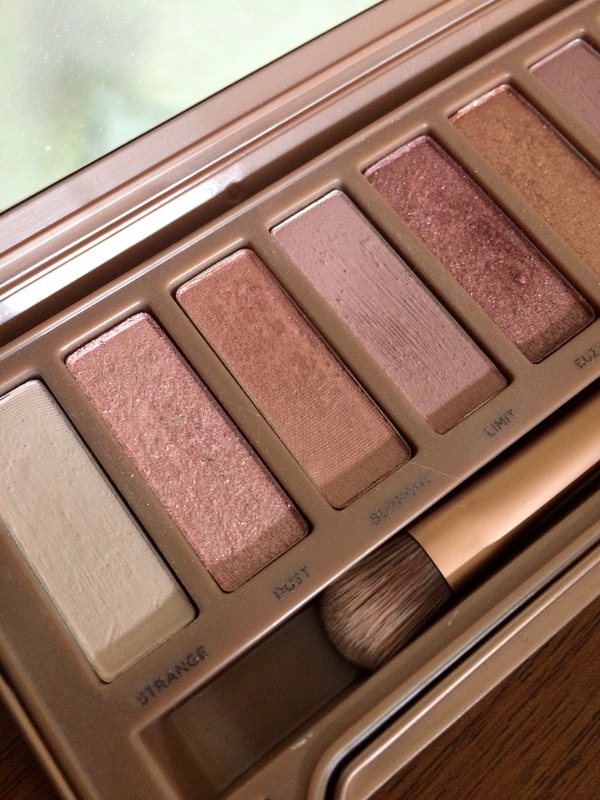 The queen of all palettes for awesome pinks has to be the Urban Decay Naked3. It has some of the most gorgeous rose shades I have ever seen and they all blend so well. I decided to show you one of my favorite peachy-pink looks this spring using this palette. Read on for the look! Here comes my makeup-free face! I started off with a blank face obviously, and added a foundation and concealer. You can use whatever you like the most for spring and summer. 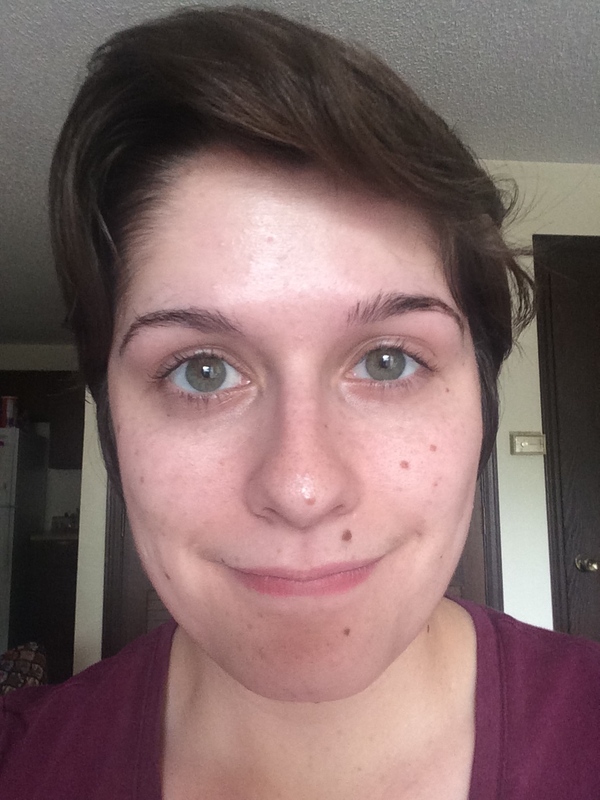 I used a light coverage because my skin is pretty good right now (Not afraid to show my naked face no matter what because we should always be proud of our natural beauty!). The first step for the eyeshadow was a wash of light pink all over the lid. I used Burnout from the Naked3. Next I added a darker pink color to the crease to add definition. I always say you should add your crease color as sloppily as possible with light color looks because it looks really natural. I used the color Limit because it is a nice matte pink. I utilize this color a lot in the crease with a winged liner look to create natural definition. After that I used the darkest pink in the palette, Buzz, on the outer corners of my eyes to darken things up. This color is beautiful and quite sparkly in the pan but it looks natural on the eyes. It makes the pink look a bit more noticeable. I always like a bit of liner definition on a look like this, but liquid eyeliner seems a bit harsh to me for pink. Instead I used my liner brush and a darker shadow in the palette, Darkside, to draw a little wing. This color is a darker grey that is very soft looking as eyeliner. I finished of the look with some basic volumizing mascara, the color Strange to highlight the brow bone, and filling in my eyebrows. I really love this look with neutral lips but this time I decided to keep going with the pink theme and wear a really pretty raspberry shade. It is pretty noticeable without being neon or anything like that. The lipstick is a Revlon Super Lustrous Lipstick in Cherries in the Snow. Check out the final look below! Thanks for reading! This entry was posted in Tutorial and tagged naked3, naked3 palette tutorial, peachy-pink makeup tutorial, spring makeup look, urban decay naked3 palette. Bookmark the permalink. Love it! It’s so natural looking and pretty!